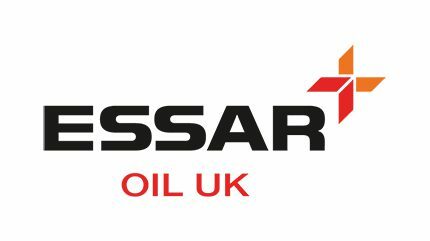 Having successfully broken through the milestone of over 50 dealer supplied sites, Essar Oil UK is looking to build on its successful retail brand by developing a leading edge, new build ‘Roadside Retail’ location, opposite the entrance to its Stanlow Refinery in Ellesmere Port. The company is keen to use this prestigious retail investment to highlight their brand and would welcome expressions of interest from retail partners in both developing the retail offer and in running the business with Essar. The one-acre site, situated on the busy A5117 road between the M56 and M53 motorways, was previously a small forecourt, but will be transformed into Essar’s flagship vision for retail in the coming months. Planning permission has already been secured for the development which will comprise a convenience store of c4,000 sq ft., and five fuelling islands – four for retail and one HGV enabled. There will be parking for around 25 cars and space for up to four electric charging points. It is expected that around 30 jobs will be created, with the site expected to open later this year. “This development has been two years in the planning and marks the next stage in the evolution of our retail brand offering and is a real statement of intent,” explained SB Prasad, chief commercial officer, retail. Essar are confident their award-winning brand proposition can enhance any retail business, with this latest bold move representing another compelling reason for retailers to sign up with the company. “Dealers and motorists already understand Stanlow’s role in providing high quality fuels made in Britain and our brand is the perfect complement to the latest redevelopment,” added SB Prasad. “Where better to showcase this than opposite our main manufacturing base. “We fully expect this location to pump well over six million litres each year. We have already had significant interest from big retail brands in working with us and will look to finalise matters in the next three months.